Back in late December, I pointed out the fact that major conservation organizations, including the PBSG, had not yet mentioned the details of the new 2015 Red List assessment for polar bears – a full month after it had been published. No response to that post from the PBSG or anyone else. Almost another full month later, the situation hasn’t changed except that the PBSG implies they haven’t done this because they’re in the middle of a website upgrade. Well, yeah – except the document the November 2015 decision was based upon was submitted by PBSG authors back in June 2015, so they knew this decision was coming months before it was made public. And why didn’t the message posted on 14 January 2016 not go up in November 2015, or whenever the website upgrade began? Actually, the time stamp of 14 January for this “…be patient” message is telling because that’s the day I sent a twitter query (see below), to PBSG member Andrew Derocher, the IUCN Red List, and CBC journalist Reg Sherren (sent after a tweet to the PBSG Chairman Dag Vongraven 10 days before that generated no response). In fact, I got no response to the 14 January tweet either – however, the website notification copied above appeared later that day. I discovered it when I checked the site (which I now do routinely) two days later. We are in the process of updating our data feed from IUCN, which will import the new content into EOL for distribution to all of our data users. 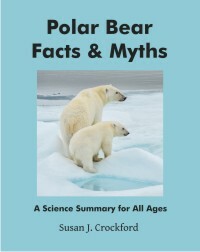 For all its flaws (including the continued deceptive focus on summer sea ice), this Red List update is the most statistically robust, in-depth study of the conservation status of polar bears – it was truly peer-reviewed (i.e., by experts outside the PBSG, which the document supporting the previous (2006) IUCN Red List assessment was not) and contains an explicit and prominent estimate of possible error, which previous predictions have not. 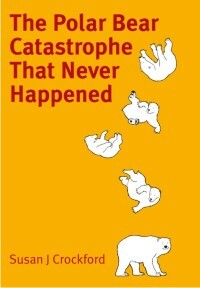 Why is this document being ignored, especially by the conservation organizations people turn to for information about polar bears online? To recap: The 2015 IUCN Red List assessment update for polar bears (published 18 November 2015) states the following: the global polar bear population is 22,000 – 31,000 (26,000), [i.e., not “20,000-25,000” as previously stated]; the current population trend is ‘unknown’ [not “decreasing”]; there is only a 70% chance that polar bear numbers will decline by 30% in 35 years (i.e., not the science standard of 95%); and there is virtually zero chance that polar bear numbers will decline by 80% or more over the next 35 years (in other words, there is a zero chance of extinction by 2050. [Detailed in a document called 22823 Ursus maritimus]. Pdf here. 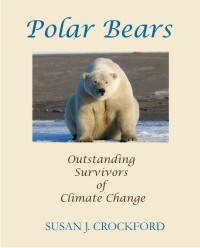 This entry was posted in Advocacy, Conservation Status, Population and tagged conservation, Derocher, Encyclopedia of Life, extinction, facts, future, IUCN, misinformation, PBSG, polar bear, politics of polar bears, population trend, predictions, Red list, sea ice, Sherren, status, threatened, Vongraven, vulnerable. Bookmark the permalink.